Monica Markovich believes that education is the key to effective legal representation. She educates clients about the risks and possible rewards in a particular situation so they can anticipate what to expect. Some of that education happens in the midst of defending a lawsuit. Ms. Markovich has significant experience litigating a wide range of civil suits and administrative proceedings. For example, she tried a series of Defense Base Act “test cases” in order to develop favorable decisions on a novel economic issue. As she prepared the claims for administrative trials, she educated her clients about the lack of relevant precedents, the potential outcomes, and the expenses associated with bringing the case to trial. She enabled her clients to make an informed decision to “test” the economic issue in each case. She teaches in a much broader sense through public seminars sponsored by companies and organizations covering several specific areas of the law. Those seminars range from such topics as Employer’s Rights and Responsibilities under the Texas Workers’ Compensation Act, and Defining the Mental Trauma Injury, to The Transportation and Sale of Refrigerated Cargo – Protecting Your Interests. Ms. Markovich also gives in-house seminars to industry groups in such subject areas as workers’ compensation, bad faith litigation, and maritime law. She is Board Certified in Workers’ Compensation Law by the Texas Board of Legal Specialization and served on the Board of Directors of the International Refrigerated Transportation Association. “IRTA kept me in touch with issues pertinent not only to the refrigerated transportation industry, but also to the maritime community,” she says. Ms. Markovich graduated from the University of Texas at Austin in 1990 and earned her Juris Doctor from the University of Texas School of Law in 1993. Doctor of Jurisprudence – University of Texas 1993. Bachelor of Arts – University of Texas 1990. State Bar of Texas; United States Court of Appeals for the Fifth Circuit; United States District Court, Northern, Eastern and Southern Districts of Texas. Brown Sims, P.C. (and its predecessor company) 1994 to present; Director 2006 to present; Shareholder 2001 to present; Associate 1994 to 2001. Board Certified: Workers’ Compensation Law – Texas Board of Legal Specialization 2004, recertified 2009 and 2014. Benefits Review Board Service Advisory Board 2008 to present. DOL-Joint Bar Association, Inc.: President (2014), Vice President (2013), Board of Directors 2010 to 2014, 2017 to present. International Refrigerated Transportation Association, Inc.: Board of Directors 1998 to 2010. Selected to Texas Super Lawyers 2010, 2011, 2012, 2013, 2014, and 2015. Texas Bar Foundation, Fellow 2013 to present. Member (past and present) of the State Bar of Texas; Houston Bar Association; The College of the State Bar of Texas; American Bar Association; Women’s International Shipping and Trading Association; Maritime Law Association of the United States; International Bar Association; Garland Walker American Inn of Court; Texas Women Lawyers; Association of Women Attorneys; and Toastmasters International. Average Weekly Wage: An Update on Efforts to Achieve Appropriate Rates, Dallas Defense Base Act Seminar, February 5, 2017. Dallas, Texas. Sponsored by Advanced Consulting, Inc. When Attorney’s Fees Remain the Claimant’s Responsibility: The Benefits Review Board Applies the Lincoln Ruling in Their 2015 Bergara Opinion By Monica F. Markovich, BRBS Commentary 2016. 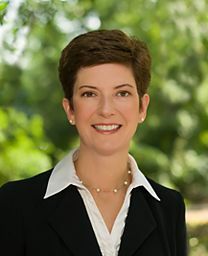 LHWCA Attorney Fee Shifting After Lincoln v. Director, OWCP (Everywhere but the 9th Circuit) By Monica F. Markovich and Alexandra Wood, posted at the LexisNexis® Legal Newsroom for Workers Compensation Law at http://www.lexisnexis.com/legalnewsroom/ 2015. Rights and Responsibilities of Employers, 11th Annual Advanced Workers’ Compensation Law Course, August 14, 2014. Austin, Texas. Sponsored by TexasBarCLE and the Workers’ Compensation Section of the State Bar of Texas. Vickers Decision: Inapplicability of Sec. 20(a) Presumption to Secondary Conditions Under the LHWCA By Monica F. Markovich and Krystal L. Layher, posted at the LexisNexis® Legal Newsroom for Workers Compensation Law at http://www.lexisnexis.com/legalnewsroom/ 2013. The Jurisdictional Scope of the LHWCA, Annual Longshore Conference, April 4-5, 2013. New Orleans, Louisiana. Sponsored by Loyola University. Longshore Act: Is Application of the Section 14(f) Penalty Mandatory When Equitable Considerations Warrant Otherwise? By Monica F. Markovich and Jonathan A. Tweedy, posted at the Workers’ Compensation Law Center powered by Larson’s, http://law.lexisnexis.com 2013. Legal and Risk Management Implications of the Defense Base Act (DBA) for Colleges and Universities, URIMA’s 43rd Annual Conference: Guiding you Across the Ocean of Risk, Providence, October 2, 2012. Rhode Island. Sponsored by University Risk Management and Insurance Association. Federal Issues in Texas Workers’ Compensation, 9th Annual Advanced Workers’ Compensation Law Course, August 2, 2012. Austin, Texas. Sponsored by TexasBarCLE and the Workers’ Compensation Section of the State Bar of Texas. How to Determine Post Injury Wage Earning Capacity, Breakout on Longshore and Harbor Workers Act, 66th Annual Workers’ Compensation Educational Conference, August 24, 2011. Orlando, Florida. Sponsored by the Florida Workers’ Compensation Institute. How to Pursue and Defend LHWCA and Defense Base Act Claims, 8th Annual Advanced Workers’ Compensation Law Course, August 11, 2011. Austin, Texas. Sponsored by TexasBarCLE and the Workers’ Compensation Section of the State Bar of Texas. Jury Trial for Seamen: Remembrance of Things Past? 9th Annual Alvin B. Rubin Conference on Maritime Personal Injury Law, May 13, 2011. Baton Rouge, Louisiana. Sponsored by the Louisiana State University Law Center, Center of Continuing Professional Development. Appeal of Defense Base Act Claims to the Courts: The Disagreement Over Forum Continues, By Monica F. Markovich and James W. Parker, posted at the Workers’ Compensation Law Center powered by Larson’s, http://law.lexisnexis.com 2010. Claimant’s Attorneys’ Fees and Expenses in LHWCA and Extension Act Cases: Understanding the Current Interpretation of 33 U.S.C.S. § 928(a) and (b) Everywhere but the 9th Circuit, posted at the Workers’ Compensation Law Center powered by Larson’s, http://law.lexisnexis.com 2010, published in Benefits Review Board Service—Longshore Reporter 43 B.R.B.S. CMT-1 (LexisNexis). Calculation of the Average Weekly Wage Under the Defense Base Act, contributor to The Longshore Textbook, Sixth Edition, Steven M. Birnbaum, Esq., Chief Editor, Stephen C. Embry, Esq., Ralph R. Lorberbaum, Esq., Co-Editors, Lawyers & Judges Publishing Company, Inc., Tucson, Arizona, 2010. Forum Selection and Arbitration Clauses in Seamen’s Injury Claims, 17th Annual Admiralty and Maritime Law Conference, October 24, 2008. Houston, Texas. Sponsored by the University of Texas School of Law. Determining Average Weekly Wages, A Conference on the Defense Base Act, October 23, 2008. Washington, D.C. Sponsored by Loyola Law School and The United States Department of Labor, Office of Workers’ Compensation Programs. Handling Claims Under the Defense Base Act: Unique Issues in Determining Average Weekly Wage, Annual Longshore Conference, March, 2008. New Orleans, Louisiana. Sponsored by Loyola University. Workers’ Compensation Update in Texas, August 15, 2007, Houston, Texas. Sponsored by Lorman Education Services. Consumer Protection in Workers’ Compensation Administration, April 5, 2007, Tyler, Texas. Sponsored by the East Texas Area Claims Association. Shaping Your Legal Career While Maintaining Integrity: A Shareholder’s View of the Common Pitfalls Along the Path to Success, “Knowledge is Power: Linking the Practice of Law with Social and Political Issues,” February, 2007, The Woodlands, Texas. Sponsored by the Texas Women Lawyers Association. An Overview of the Defense Base Act and the War Hazards Compensation Act, “History of the DBA: Purpose, Scope and Coverage,” Government Contractor International Risk Management Summit, September, 2006. Houston, Texas. Sponsored by the U.S. Chamber of Commerce and AIG WorldSource. Current Issues in Longshore and Harbor Workers’ Compensation Act Extension Claims, 15th Annual Admiralty and Maritime Law Conference, September, 2006. Houston, Texas. Sponsored by the University of Texas School of Law. Overview of the Texas Workers’ Compensation Act Claim – 2006, Introduction to Workers’ Compensation in Texas Seminar, August, 2006. Houston, Texas. Sponsored by Lorman Education Services. Workers’ Comp Update, 2006,Workers’ Compensation Seminar, July, 2006. Houston, Texas. Developed by Council on Education in Management. Workers’ Compensation Cost-Cutting Strategies and Implementing a Successful and Legally Compliant Return-to-Work Program, Reducing Workers’ Compensation Claims and Costs in Your Company, June, 2006. Houston, Texas. Sponsored by National Business Institute. The Workers’ Comp System: Defining the Elements of a Compensable Injury and Exceptions to Workers’ Comp Coverage and How to Calculate Workers’ Comp Benefits and Assess Your Exposure on Workers’ Comp Claims, Complete Survival Guide to Texas Workers’ Comp Seminar, June, 2006. Houston, Texas. Sponsored by Council on Education in Management. Legal Issues Unique to Defense Base Act Claims: Determining Average Weekly Wages for Injured Workers, Annual Longshore Conference, April, 2006. New Orleans, Louisiana. Sponsored by Loyola University. Overview of the Texas Workers’ Compensation Act Claim, Introduction to Workers’ Compensation in Texas Seminar, August, 2005. Houston, Texas. Sponsored by Lorman Education Services. Mock Arbitration – Damaged Product Liability Trial, International Association of Refrigerated Warehouses, 2005 National Convention, May, 2005. Henderson, Nevada. Employer’s Rights and Responsibilities under the Texas Workers’ Compensation Act and Texas Workers’ Compensation Act Benefits: The Effect of Claimant’s Ability to Return to Restricted Duty Work, The Workers’ Compensation Continuum in Texas Seminar, January, 2005. Houston, Texas. Sponsored by Lorman Education Services. Defining the Mental Trauma Injury, Treatment of Mental Trauma Claims under the Texas Workers’ Compensation Act and Treatment of Mental Trauma Claims under the Longshore and Harbor Workers’ Compensation Act, Advanced Topics In Workers’ Compensation in Texas Seminar, December, 2004. Houston, Texas. Sponsored by Lorman Education Services. Overview of the Texas Workers’ Compensation Act Claim, Introduction to Workers’ Compensation in Texas Seminar, August, 2004. Houston, Texas. Sponsored by Lorman Education Services. Mock Trial, Attorney and Organizer, National Association of Marine Surveyors, Inc. 42nd Annual Conference East, April 20, 2004, New York City, New York. The Ultimate Business Solution: Insurance, Yes, Insurance, Workshop, Panel Member, International Trade Conference, Fresh Summit International Convention & Exposition, October, 2003. Orlando, Florida. Sponsored by the Produce Marketing Association. Update on Texas Workers’ Compensation Act Claims, September, 2003. Houston, Texas. Sponsored by the Houston Claims Association. Overview of the Texas Workers’ Compensation Act Claim, Introduction to Workers’ Compensation in Texas Seminar, August, 2003. Houston, Texas. Sponsored by Lorman Education Services. Medicare: Considerations in Workers’ Compensation Settlements, Advanced Workers’ Compensation in Texas Seminar, November, 2002. Houston, Texas. Sponsored by Lorman Education Services. Obtaining Relief From the Special Fund Pursuant to 33 U.S.C. §908(f) for LHWCA Claims, Advanced Workers’ Compensation in Texas Seminar, November, 2002. Houston, Texas. Sponsored by Lorman Education Services. Texas Workers’ Compensation Act Benefits: The Effect of a Claimant’s Ability to Return to Restricted Duty Work, Advanced Workers’ Compensation in Texas Seminar, November, 2002. Houston, Texas. Sponsored by Lorman Education Services. The Transportation and Sale of Refrigerated Cargo-Protecting Your Interests, Critical Cargoes, an International Conference on Perishable Commodities, October, 2002. New Orleans, Louisiana. Sponsored by the International Refrigerated Transportation Association, Inc.
How to Establish the Marine Surveyor as an “Expert Witness”, Spring 2002 Marine Seminar, April, 2002. Newark, New Jersey. Sponsored by National Association of Marine Surveyors, Inc.
Mock Arbitration, Organizer and Arbitrator, International Refrigerated Transportation Association 1999 Annual Convention, June, 1999. Seattle, Washington. Sponsored by the Journal of Commerce. Transportation Liabilities Issues in the United States, International Refrigerated Transportation Association 1998 Annual Convention, May, 1998. Rotterdam, The Netherlands. Sponsored by the Journal of Commerce. Penalties and Recoveries for Fraud and Misrepresentation in Longshore and Harbor Workers’ Compensation Act Claims, Workers Compensation Fraud, Challenges of the Present Strategies for the Future, October, 1997. Las Vegas, Nevada. Sponsored by the National Council on Compensation Insurance, Inc., the Journal of Commerce and Safe Workplace Magazine. The Package Limitation in the United States and Europe, International Refrigerated Transportation Association Convention and Exhibition, June, 1997. Wilmington, Delaware. Sponsored by International Refrigerated Transportation Association. Moot Court, Moderator and Organizer, International Refrigerated Transportation Association Convention and Exhibition, June, 1997. Wilmington, Delaware. Sponsored by the Journal of Commerce. Claims and Claims Management, International Refrigerated Transportation Association Annual Conference, June, 1996. Seattle, Washington. Sponsored by the Journal of Commerce. Speaker at in-house seminars hosted by companies including ACE USA; Atlantic Mutual Companies; Chartis International and its predecessor companies; CNA; ESIS, Inc.; GAB Robins; Liberty Mutual Group; Unocal Corporation; and Zurich North America.